FAQ When Can We Expect To Get Our Book? 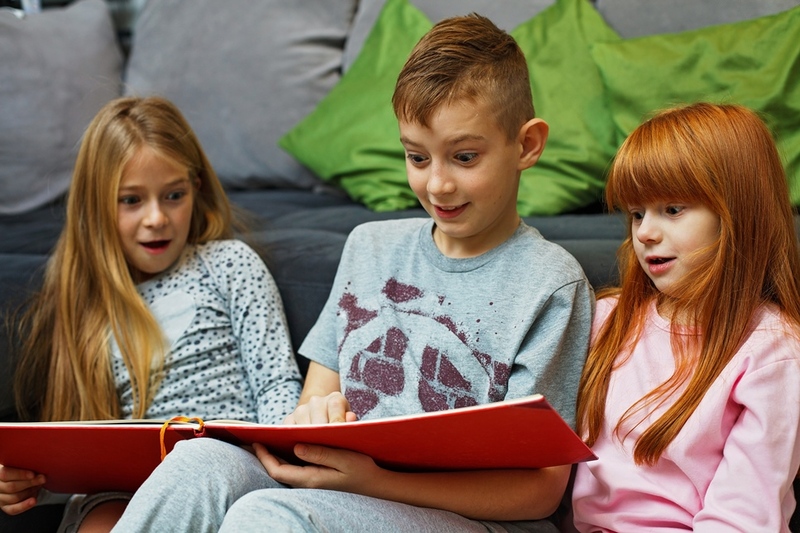 FAQ When is our introduction for you to the timeline of creating a personalised story for your child, and getting it into your hands at the right time. If you have read our companion post FAQ How Does It Work? you will see there is a lot of communication and work to get the story ready for delivery. So, this FAQ When post is more succinct. Giving you a reasonable timeline of the creation process. FAQ When you order, on Day 1. We expect PayPal to confirm your payment by email on the same day that they process your payment. We check their emails every day, morning and afternoon. On the same day, when Woo Commerce processes the PayPal payment, you receive the data form from the website, so you can give us the details we need to personalise the selected story. We expect you will complete and submit that on Day 1 or possibly Day 2 – depending on your own schedule. On the day we receive your form, we review it and check to see if we need any additional information to complete the story. We often want to ask a few questions about the child’s interests so we can create a very interactive background. So, we confirm we have the form, ask for whatever we think is appropriate, and also request two or three more photos. Mobile phone photos are fine and can usually be sent straight from the phone by email. Photos from Facebook or other social media need some upgrading, and we do that. Occasionally, the giver may not have the additional photos right on hand and has to source them from someone else in the family. An impromptu photo shoot with the child is not unheard of, either. That works well. Facebook messenger can be helpful, too. So, it’s not unusual for it to take a day or two for the extra photos to arrive, along with the answers to our questions. FAQ When we confirm receiving the photos, it should be no more than Day 5. Between Day 3 and Day 5, we start working on the story, embedding the first photo and personalising the dialogue. We have an excellent list of words to use besides “he said” and “she said”, to make the stories both interactive and conversational. On Day 5 and 6, we finish the body of the story, working on the plot and making any variations that are appropriate for your child. The upgraded extra photos go into the text, along with the extra information we needed. FAQ When we send your preview of the first pages, it may be Day 7. It’s very important you are happy with the way we weave your child’s interests into the story. So, we email a digital copy of the first three or four pages of text for your review. You can let us know if there is anything you want added, or changed. In the meantime, we finish the creative writing and formatting, pending your final approval. FAQ When we have that final approval, it should be no later than Day 9. During Day 9 and Day 10, we finish the story, ready for printing. Several reviews of the digital version ensure the formatting is correct and any embedded links are active. The first page is modified to have the cover image embedded into the digital version. We create the personalised cover, and the personalised greeting card for the child, which we print separately from the story. The hard cover is included at the binding stage. FAQ When we email you the completed digital version, it could be Day 11. This is when the physical compilation happens. After the digital version goes by email, we print the final story, compile it with the hard cover, and bind it. If possible, we post the book, the personalised greeting card and our thank you letter on the same day. We use letter post, not parcel post, and we confirm it by email. FAQ When we email to confirm posting, that’s Day 12. We allow a minimum of seven days for Australia Post to deliver the story, and we take it to the Post Office, rather than putting it into road side Red Post Box. Delivery on time for a birthday or special event is important. Which is why we keep you in the loop, as the story progresses. FAQ When you receive the story – we ask you to advise us. That’s around Day 19. Seven days after posting your story, we send an email to ask if you have it. We will also ask if you are happy with the story, the book, and our service. We will ask you to recommend us on our Facebook page at Stories My Nana Tells if you are happy to do so. FAQ When do you need the story? As you can see from this timeline, we need around ten to twelve days to get the finished story into the mail. It doesn’t always take that long, because prompt responses from the giver means we do it more quickly. Subject to the number of stories we have on the go, at the same time. So, it’s a good idea to allow around three weeks for delivery. It’s especially important if you are in the Eastern States of Australia, since we are in the South West of W.A. Australia Post is not super fast, these days. If a story is really urgent, we can offer a premium delivery service, but that costs more. That’s not our preferred option. 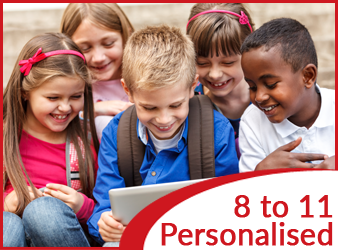 Are you planning on giving a personalised story fairly soon? Order it now! Just keep it under wraps until that special day. We promise we will not tell. Just choose the story you want from the home page from the drop down lists, by reading age. We have new stories coming to the site regularly and we can spell any child’s name. We can! Do you know a child whose name has a unique and unusual spelling? 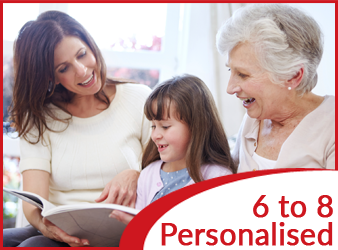 Get them their own personalised story from us. We have a great library and it is expanding all the time. 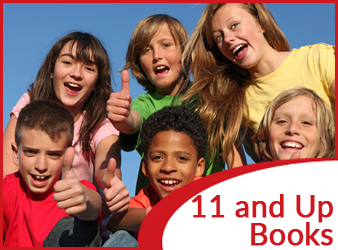 Dozens of fun, real life travel experiences means we build them into the child’s own personal stories. Taking children on their own adventures in my magic red helicopter immerses them in good learning, too. Keep in touch with us here and stay up to date.